Before I began studying minimalism as a lifestyle, I started exploring different ways of becoming more mindful and placing less emphasis personally on consumerism. One of the first steps I took towards that goal was a couple years ago when I gave myself the challenge of not shopping during the month of December. This may seem like an odd topic for BargainBabe, but I think it’s important to be mindful and seek self-improvement as we practice frugality and finding deals! Joshua Becker, author of the More of Less (amazing book!) and becomingminimalist.com advocates self-imposed challenges as a way to explore and grow towards your goals. As a self-professed shopaholic who barely went a day without browsing or buying, that December was a huge challenge to me. 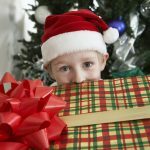 I knew that I wanted to focus more on the meaning behind the season and have less of a rushed, harried and stuff-based holiday… but could I enjoy Christmas without even entering a store? No spending, window-shopping, mall-wandering or online browsing during December. It took more discipline than I would like to admit to stay out of stores and away from Amazon but I have to confess the free time I gained was significant. 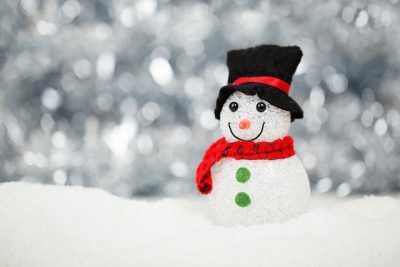 I realized that the time I spent shopping for “necessities” or for fun were not only zapping my energy, but also taking away from holiday activities I valued much more like baking, snuggling up with my children, visiting family and reading favorite holiday books. No using gifts as an excuse to break the shop-free commitment. This turned out to be a really fun constraint. 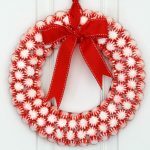 I’ve always loved homemade gifts and when I cut out store time I found that I had much more freedom to be creative. Although many of our gifts had been purchased before December, the rest were filled in with homemade projects that we completed as a family. 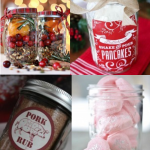 If you are interested in going homemade this year, check out this post jam packed with great ideas! No cheating at the grocery store. One of the things I knew about myself was that I could easily get lost in food shopping and adding lots of non-consumable “essentials” to my cart which would lead me in a dangerous direction. Now I know many of you might not be able to ditch grocery shopping and that’s perfectly understandable. But over that month, my husband took over grocery shopping, we became better at meal-planning and the shared responsibilities during December truly changed the way we feed our family to this day. We are a better shopping/cooking team now and I can honestly say that grocery shopping is less stressful ever since we shook things up with this minimalist challenge. So if it’s possible, I totally recommend giving this a shot! 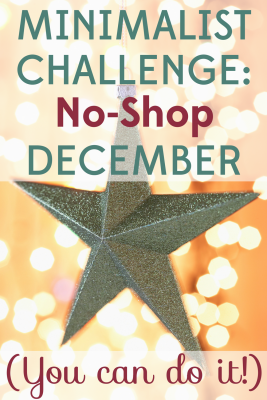 Ultimately, the No-Shop December Challenge was a huge success for me. It really opened my eyes to how much time and money I was truly spending on material things. It broke some habits that had become very toxic. 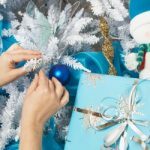 It took away a lot of the holiday stress that I’d been overwhelmed with in the past. It alleviated a lot of the pressure on my marriage during a time that can challenge even the best-laid family budgets. It made me recognize that my daily patterns were not aligned with my deepest core values, which was ultimately very sobering. Simply put, not shopping helped me to re-assess my life. At the beginning of the month, I was trying to prove to myself that I could do something difficult. By the end of that month, I realized that I wanted to so much more from life than what I could carry out of a store. Looking back, this exercise was truly the beginning of my journey to minimalism. I don’t think I will ever approach holiday shopping the same again. Are you ready to stretch your minimalist wings and try a no-shopping challenge? I would love to hear how it goes! Prime Deal: Oral-B Pro 1000 Power Rechargeable Electric Toothbrush Only $22.74! 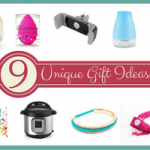 Holiday Gift Guides: Ideas for Everyone on Your List!